Mark Anthony Myrie, best known as Buju Banton, was born the youngest of 15 children on July 15, 1973 in the Kingston, Jamaica slum of Salt Lane. He started deejaying and “toasting” (speaking over music tracks) at age 13, and began recording music soon after. He later adopted Banton as a tribute to one of his early musical influences, deejay Burro Banton. 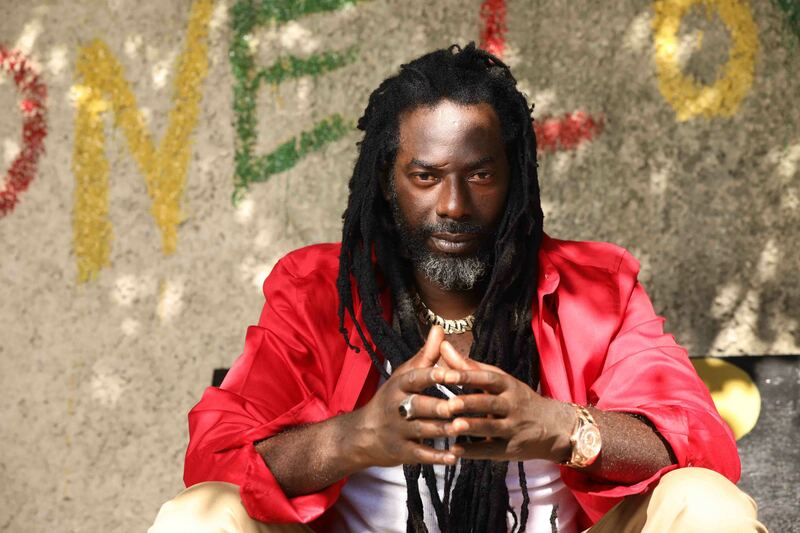 By age 13, Banton was performing with local sound systems, and a chance meeting with producer Robert French led to his first recorded single, “The Ruler.” After taking a break to allow his voice to mature, Banton returned to recording with a rough, aggressive growl that would become his trademark. Over his more than 20-year career, Banton has worked with some of reggae and dancehall’s most prominent producers, including Bunny Lee, Winston Riley, Patrick Roberts and Donovan Germain. The increasing violence of mid-1990s Jamaica inspired Banton and other leading artists to embrace Rastafari teachings in their music and reach out to youth. Banton’s hit single, “Murderer,” inspired by the brutal murder of his friend and fellow deejay, Panhead, touched on the personal toll of violence.Banton won Grammy Awards for best reggae album in 2009 and 2011, respectively, for the albums Rasta Got Soul and Before the Dawn.